Wits Enterprise, the commercialisation arm of the University of the Witwatersrand in Johannesburg, celebrated the achievements of its inventors and innovators earlier this week. For their inaugural event they invited CapeRay’s CEO, Kit Vaughan, to speak on the topic “Successes and Pitfalls in Commercialising University Intellectual Property.” Vaughan chose as his subtitle “Ten Lessons I Have Learned,” describing his own experience over the past three decades. Lesson number 1 — never underestimate the value of a good patent — has its origins at Clemson University in South Carolina where Joon Park was Professor of Bioengineering. In the late 1970s orthopaedic implants were tending to loosen and Park identified the problem as the interface between the implant and the bone cement. His solution was a simple one — to pre-coat the implant with bone cement — and the university secured US Patent 4,491,987 on 8 January 1985. Clemson licensed the technology to Zimmer and in 1987 the royalty income was $750,000, half of which was paid to Park. Not bad for an idea that was pooh-poohed by his fellow academics! Lesson number 2 — it is possible to patent and to publish your ideas — concerns the collaboration of two biochemists, Edward Sturrock from Cape Town and Ravi Acharya from Bath in England. 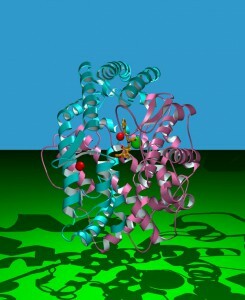 Their research focused on the crystal structure of an angiotensin-converting enzyme (see image at left) that plays a key role in the treatment of high blood pressure. They filed their provisional patent in the UK on 12 September 2002 and it was granted in multiple countries, including US Patent 7,704,319 that issued on 27 April 2010. 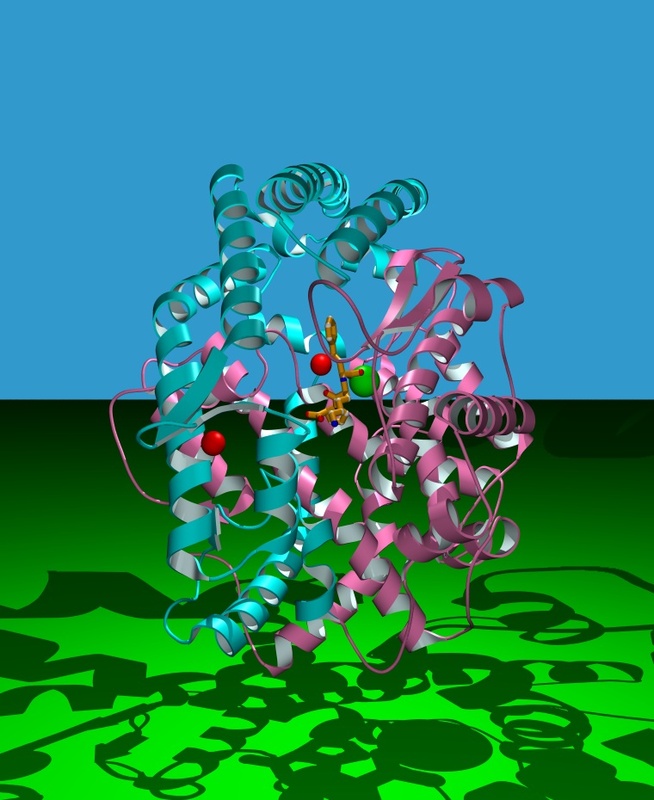 Sturrock and Acharya also submitted their crystal structure to Nature who published their article on 19 January 2003. Importantly, the paper had been submitted on 21 October 2002, after the priority date for their patent. Vaughan’s other lessons included: (3) don’t try to run a company while holding down a full-time academic job; (4) it helps to have a supportive technology-transfer office; (5) take advantage of grants and government’s fund-matching programmes; (6) create a shareholders’ agreement that is simple and investor-friendly; (7) venture capital funding can be as tough as the Dragons’ Den; (8) the university can serve as the ideal feeder for your employees; (9) get your first product to market as soon as possible; and (10) for the really “Big Idea,” seek international investors. Universities, as the beneficiaries of government funding, have an obligation to ensure their intellectual property is transferred to the public domain.